My chapter on fad dances of the 50s and 60s should be out soon. I cover the Madison and the Twist in some detail. I have to say I loved producing this, in large part because Julie Malnig was such a great editor. The book has a great title as well. I haven’t read the other chapters myself yet, but it does look good overall. Amazon are promoting advanced copies here. 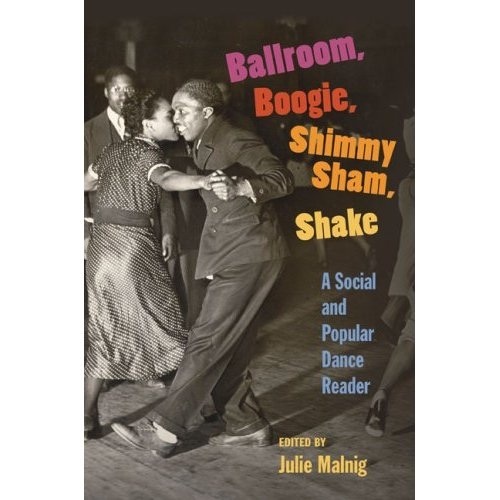 This dynamic collection documents the rich and varied history of social dance and the multiple styles it has generated, while drawing on some of the most current forms of critical and theoretical inquiry. The essays cover different historical periods and styles; encompass regional influences from North and South America, Britain, Europe, and Africa; and emphasize a variety of methodological approaches, including ethnography, anthropology, gender studies, and critical race theory. While social dance is defined primarily as dance performed by the public in ballrooms, clubs, dance halls, and other meeting spots, contributors also examine social dance’s symbiotic relationship with popular, theatrical stage dance forms.Contributors are Elizabeth Aldrich, Barbara Cohen-Stratyner, Yvonne Daniel, Sherril Dodds, Lisa Doolittle, David F. Garcia, Jurretta Jordan Heckscher, Constance Valis Hill, Karen W. Hubbard, Tim Lawrence, Julie Malnig, Carol Martin, Juliet McMains, Terry Monaghan, Halifu Osumare, Sally R. Sommer, May Gwin Waggoner, Tim Wall, and Christina Zanfagna.